The Honourable Shelly Glover, Minister of Canadian Heritage and Official Languages, and the Honourable John Baird, Minister of Foreign Affairs, along with the Honourable Tim Uppal, Minister of State (Multiculturalism), are pleased to announce that the design “Landscape of Loss, Memory and Survival” presented by Team Lord of Toronto has been selected for the future National Holocaust Monument, which will be located in Ottawa. 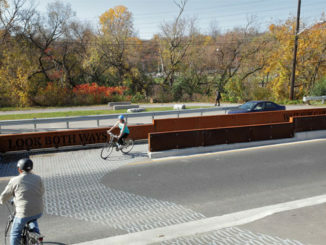 Team Lord’s submission was selected from among six finalists who were invited to present their design concepts to a jury of professionals and to the public as part of a national design competition. The future National Holocaust Monument will be prominently located in the core of Canada’s Capital, at the corner of Wellington and Booth Streets. 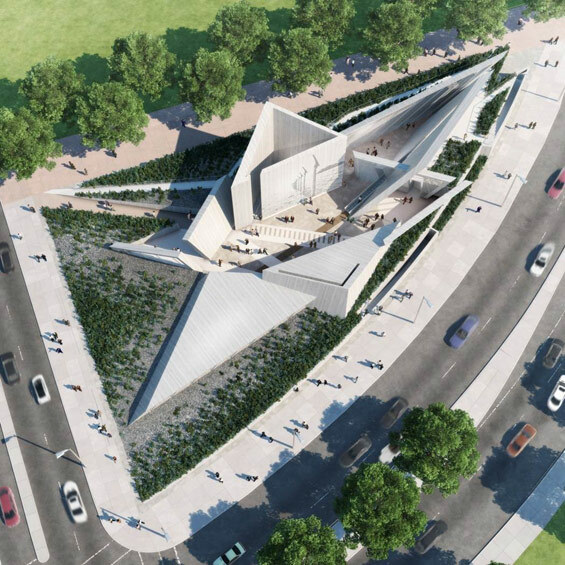 The monument site faces the iconic Canadian War Museum and will ensure the lessons of the Holocaust remain within the national consciousness. The official inauguration of the main elements of the monument is scheduled for fall 2015. The winning design is a fully integrated proposal in which architecture, landscape, art and interpretation communicate the hardship and suffering of victims while conveying a powerful message of humanity’s enduring strength and survival. The concept depicts a star created by six triangular volumes at each of its points organized around a large gathering space for ceremonies. Each one of these volumes provides a unique theme and ambiance for interpretation, contemplation and artistic expression. The National Capital Commission will take on responsibility for the design development, construction and maintenance of the National Holocaust Monument.